Math Dictionary-H deals with words starting with the letter H We could consider the below mentioned words with the initial letter “h”. 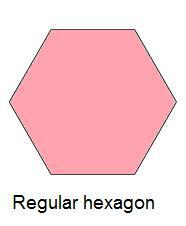 Half turn, Hectare, Height, Hemisphere, Heptagon, Hexagon, Histogram, Horizontal, Hyperbola, Hypotenuse, Hypothesis. We have already known the above list of words which are having the initial letter “h”. Apart from what we know about those words and meanings of them, there are some more additional information for the words half turn, hectare, height, hemisphere, hexagon, horizontal, hyperbola, hypotenuse, hypothesis. It is very important for the students who are studying math to know the additional information of the above mentioned words which are having the initial letter “h”. To get that additional information of those words, students may have to search in web separately for each word and or they have to spend huge time to get additional information for those words. In order to reduce the burden of the students, we have given the additional information of the words here. A 180ᵒ turn as from front to back and vice versa. Hectare is a metric unit area defined as 10,000 square meters. Vertical distance from base to the top. 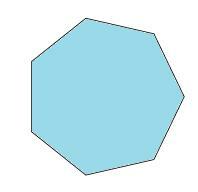 A polygon with 7 sides and 7 angles. Histogram is a graphical representation in statistics. It shows the visual impression of the distribution data. Right angles to the vertical or parallel to the level ground. In graph paper x-axis is refer to the horizontal line. One type of conics is hyperbola. Hyperbola is a set of points found by keeping the difference of the distances from two points is constant. The side opposite to the right angle in right angled triangle. Hypotenuse is the longest side of the right angled triangle. An assumed statement used as a premise in an argument. We will update this page Math Dictionary-h regularly. We welcome your valuable suggestions. Please use the below box to convey your suggestions.